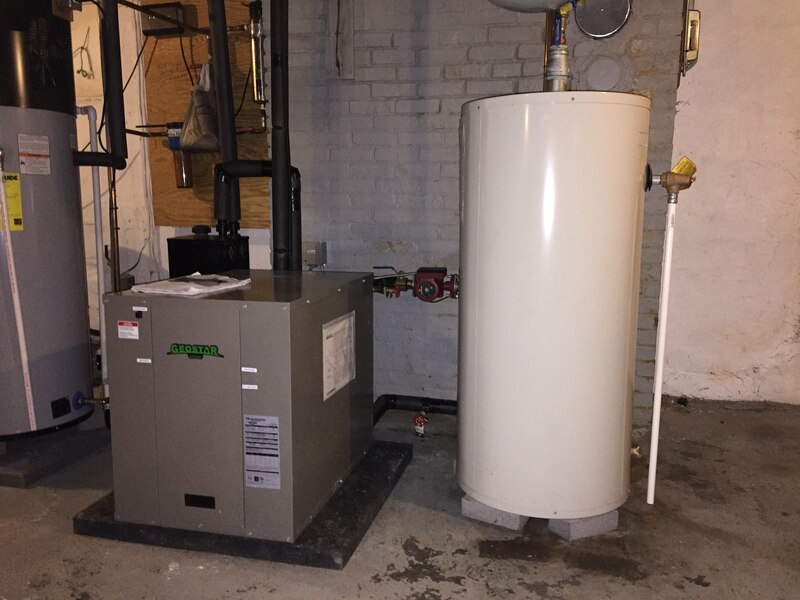 The heat pump is the gray box and the hot water storage tank is on the right. 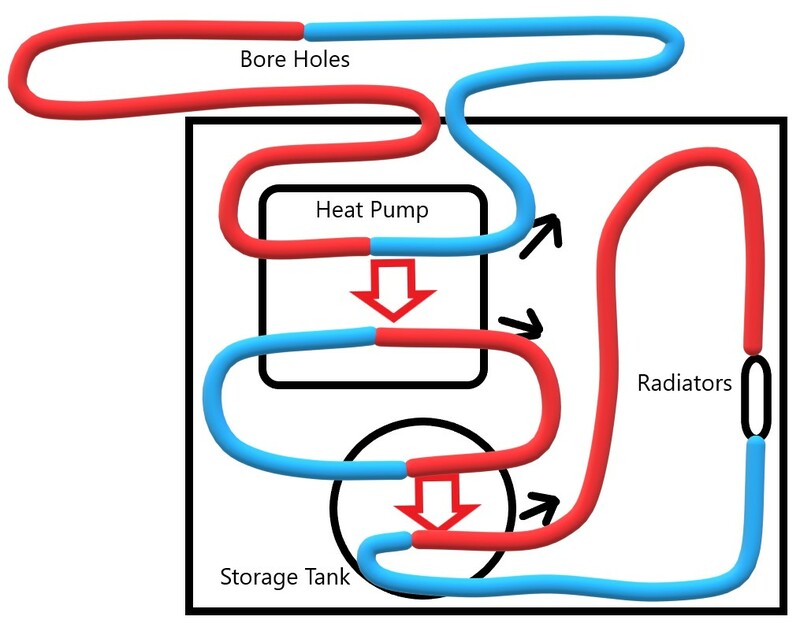 After the warm water from the outside heating loops circulates to the heat pump, the heat pump extracts the heat from the water, concentrates it, and transfers that heat over to another heating loop that heats up a hot water storage tank. The hot water in the storage tank is then pumped throughout the house in our baseboard radiators and radiant heating floor as needed. The controller unit and zone control is used to adjust all of the settings of the system. 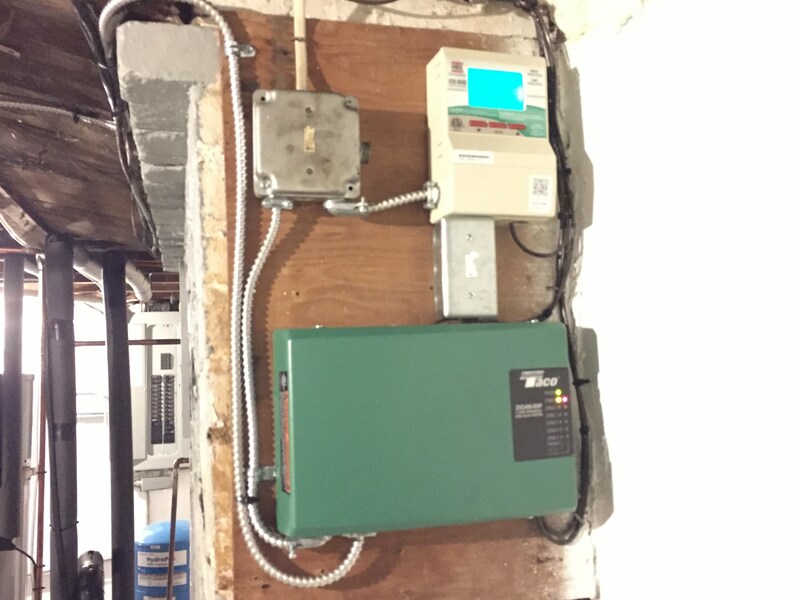 We can easily adjust the target storage tank temperature and the range of temperatures before the heat pump will turn on so we can adjust seasonally for better efficiency. During the fall and spring, we can use lower temperature water in the radiators to save money on heating costs and then turn up the water temperature in the middle of winter when more heat is needed. For example, during early fall we can use a target 100 degree water and a 20 degree range (meaning the system would wait until the water temperature drops to 90 degrees before heating up to 110) while the middle of winter may use something closer to a target of 120 degree water with a 10 degree range (meaning the system would only wait until the water temperature drops to 115 degrees before heating up to 125) to heat the house. Here is a simple diagram I drew to show the flow of water and the transfer of heat (blue for cold and red for hot). 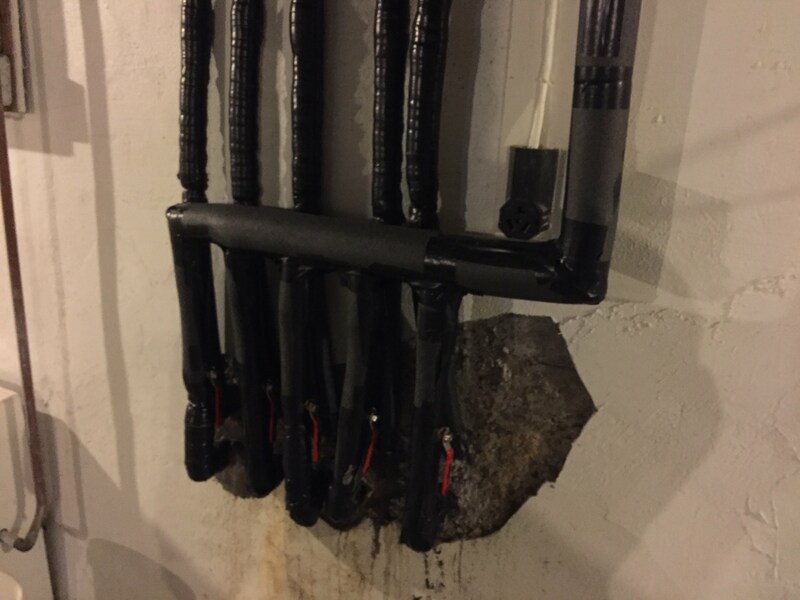 The water coming into the house from the heating loops during the middle of winter is usually only in the high 30s and the water leaving is usually in the low 30s. Enough heat can be extracted from that temperature difference to heat the house. Here is a simple diagram of the geothermal heating system. The cold water circulates out of the house and absorbs heat from the ground. This warmed water returns to the heat pump where that heat is extracted and transferred to another loop that heats up the storage tank. When the thermostat in a given zone of the house calls for heat, the hot water from the storage tank flows to the radiators in that zone of the house to heat those rooms and the cold water returns to the storage tank to be reheated. 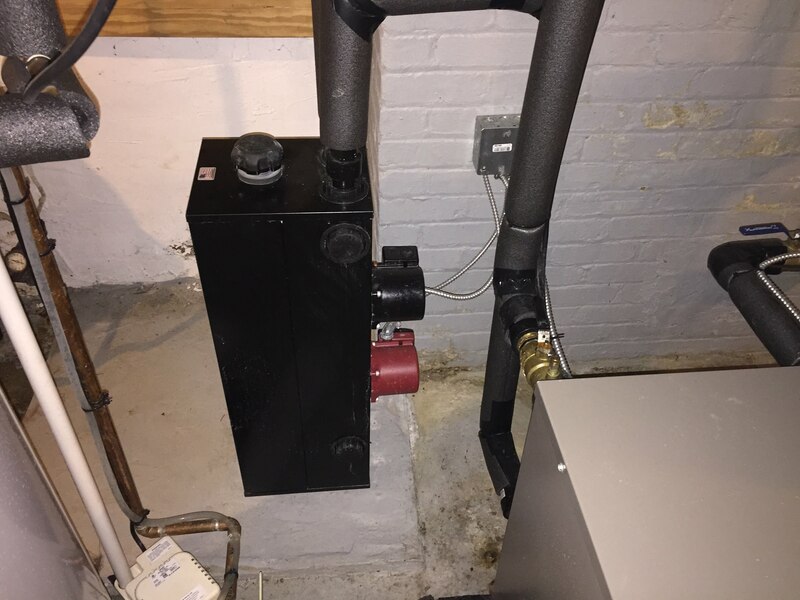 The installation costs can be high, but the system is very efficient once it is installed and will have a positive return on investment over its lifetime, in addition to allowing us to move off of fuel oil for heating.